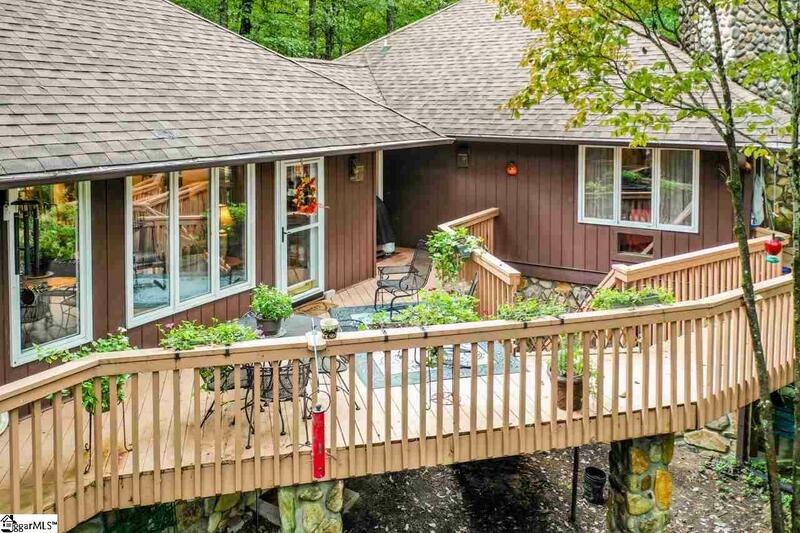 Centrally located within the Cliff Ridge community on Caesars Head, this lovely one of a kind mountain home is truly a secluded hideaway. It is only steps from the communitiy's amenities yet very private and tucked away. Wind up the drive and you will find "Rocky Top", originally built by Cliff Ridge's first developer for use as the community guest house. The kitchen has plenty of counter space and a pantry. Kitchen details includes a lovely custom backsplash and space well designed for convenience and accessibility. The dining area is open to the great room and is of adequate size to accommodate guest well. A unique feature is that the home's bedrooms can all be considered master suites. Each one has its own fireplace , bath, and opens onto lovely outdoor living spaces. In addition to the bedrooms opening to the outside, there are additional opportunities for enjoying nature Exit the great room and the sun room onto more decking that invites relaxation in the cool and clean mountain air. Each of the 4 bedrooms feature a fireplace of its own, but there are 5 total fireplaces with the largest being the focal point of the living area. Another special feature is the lovely natural stone work on the home's exterior adding to the overall appeal of the property. 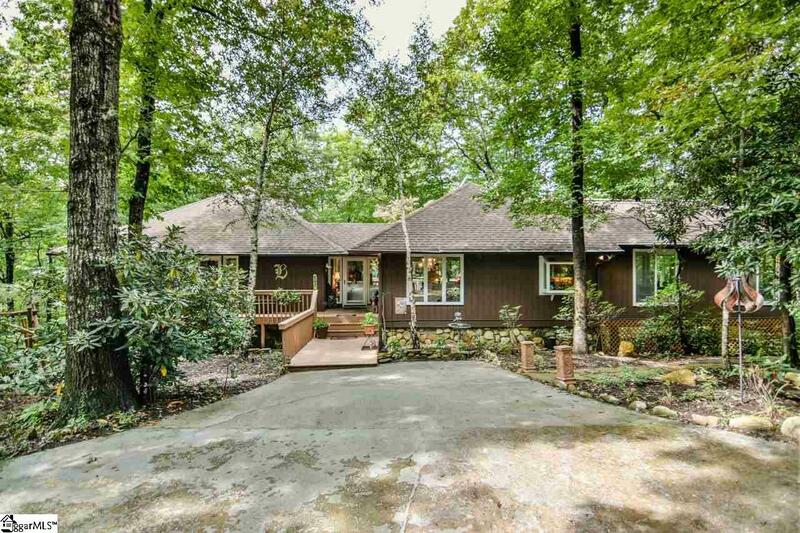 In addition to all of the outdoor living space, the indoor space is much more than adequate as the outdoors continues into the home as the sunroom is situated above and among the large hardwoods that surround the home giving it the privacy one expects. Floor to ceiling windows allow you to be a part of the outdoors. 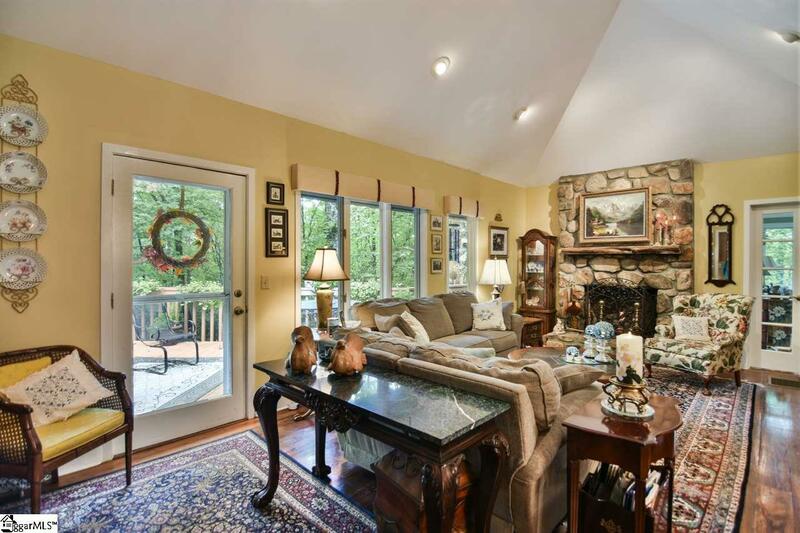 In the great room, the large windows allow for expansive seasonal views of the Pisgah Mountain Range. Other features include two water heaters, dual heat pumps, and an unfinished area under the house which creates a nice "flex space" with electricity and water. Charming and cozy all year round! Schedule an appointment for your private showing and tour of this gated community on Caesars Head. (appointments available 7days) Amenities include pools, tennis courts, playground stocked lake and the safety of a gated community. 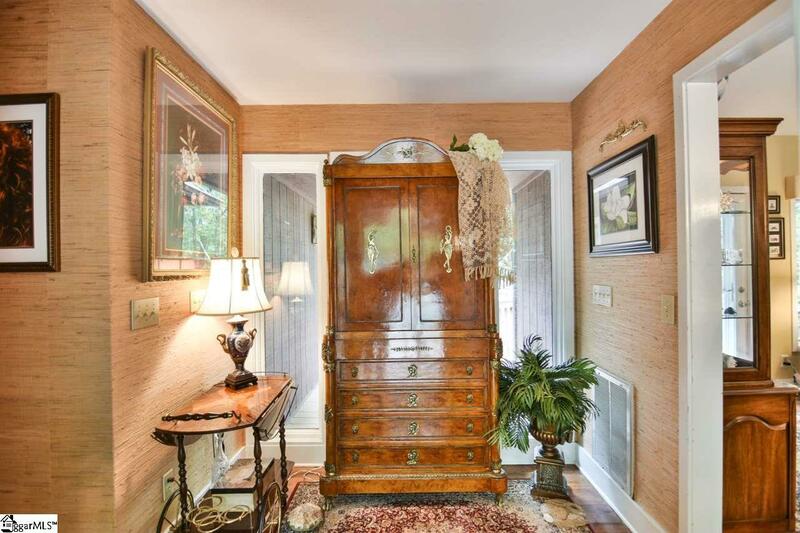 Listing provided courtesy of Margaret Rollison of Flagship Sc Properties, Llc.